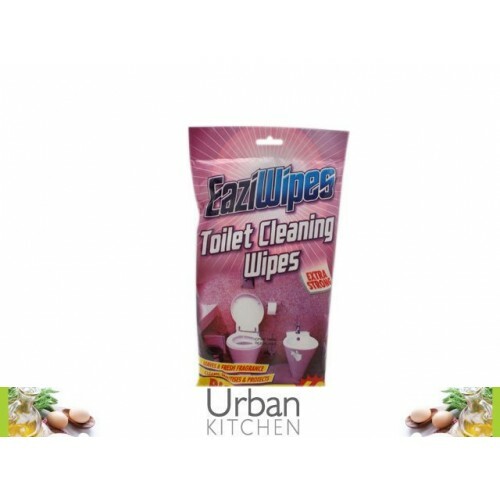 Eaziwipes Toilet Antibacterial are the quick and easy way to clean, sanitise and protect your toilet bowl and bidet. Specially designed to kill bacterial and germs, Eaziwipes toilet wipes keep your toilet and bidet clean sanitised and protected. Great for use on showers, tiles, toilet bowls, bidet etc. Eaziwipes Toilet Antibacterial wipes contain among other ingredients: Surface active material, parfum, preservative, contains less than 5% non-ionic surfactants.